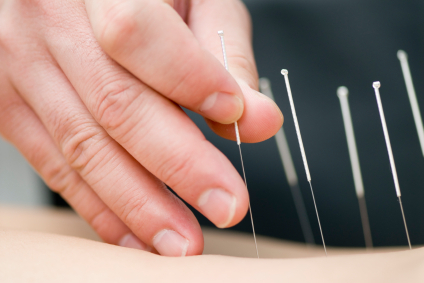 For thousands of years people have been turning to acupuncture for healing. Many people have found relief when coupling acupuncture treatment with their current treatment, when the current treatment alone was falling short. Also, many people have tried every available method, without any positive results. Often times, acupuncture treatment is the last resort but at Caron Chiropractic Clinics, we don’t want you to have to suffer an extended period of time. We know acupuncture is a safe and successful management for many types of physical, mental and emotional ailments. Acupuncture can relieve many types of chronic and acute pain in the body, located in the head, neck, back, shoulders and knees.Acupuncture can even help with tendonitis, carpal tunnel, fibromyalgia and many other conditions you have been diagnosed with. Successful relief from upper respiratory disorders such as asthma, arthritis, allergies, colds, flues and bronchitis has been reported with acupuncture treatments. Not only can it treat digestive disorders and immune disorders but acupuncture can also assist women with their reproductive health by diminishing the intensity of cramps and helping with fertility. When your body becomes dependent on finding pleasure in something that causes a potential threat to it, it is called a harmful addiction. Some addictions can be good for you, like working out, meditation, or healthy eating. But when you desire a substance like cigarettes, alcohol or other drugs, it can be almost impossible to stop. Acupuncture is a successful tool used to help curb your destructive cravings. If you are stressed beyond belief, acupuncture can help you find clarity and balance in the life you lead. Acupuncture treatments have been shown to also improve symptoms of depression, anxiety, insomnia and even help regulate the extreme highs and lows that bipolar patience face daily. At Caron Chiropractic Clinic in St. Paul, Dr. Timothy Graff has a license in Minnesota State Chiropractic Acupuncture. If you are in search of a safe medical practice for pain relief or an overall improvement in your health, call our office today at 612-255-9999. Don’t let acupuncture be a last resort, find relief today! This entry was posted	on Thursday, April 10th, 2014 at 5:03 pm	and is filed under Acupuncture, Back Pain, Carpal Tunnel, Chronic Pain, Fibromyalgia, Headaches, Neck Pain. You can follow any responses to this entry through the RSS 2.0 feed. You can leave a response, or trackback from your own site.